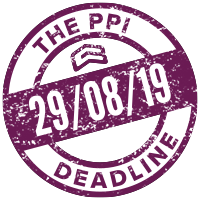 A letter rejecting your PPI claim can be disheartening, but isn’t always the end of the story. If your claim has already been rejected by the lender, we may have to approach the Financial Ombudsman Service (FOS) who would independently review the case and are able to overturn the rejection, should they find that the lender has unfairly sold the policy. The FOS are no strangers to handling hundreds of thousands of PPI claims and instructing lenders to pay compensation to their clients where they feel it is due. Unfortunately, the volume of complaints is so large that the FOS can’t keep up. What should I do if I receive a rejection to my complaint? Your first action should be to let us know. While lenders are meant to copy all correspondence to Gladstone Brookes, this doesn’t always happen. Each rejection must be responded to within a short timeframe, so acting quickly is imperative if we’re to appeal the decision. What do I need to do to make an appeal? Will my claim now take more than 8 – 16 weeks? Unlike us, the FOS are not bound by deadlines and are contending with a backlog. They are currently stating that their investigations can take between 18-24 months from the date in which they receive an appeal. Until the adjudicator reaches their decision, the lender is not obliged to provide you with any compensation so we must wait for the appeal to be concluded.